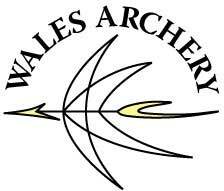 To make a claim for a Welsh Archery Association Record please download and complete the relevant form below. All records should be claimed within 28 days of the event. A copy of the official Results Sheet should be enclosed. The tournament must be conducted under World Archery or Archery GB regulations and there must be a qualified Judge officiating. The archer must be a member of the Welsh Archery Association before the start of the event. Ms Sue Wolfendale, 66 Colwyn Avenue, Rhos on Sea, Colwyn Bay LL28 4NN.